Partner Tom Ross of the Chicago-based intellectual property law firm Marshall, Gerstein & Borun was interviewed by Crain’s Chicago Business on intellectual property enforcement in China. In an article appearing on August 22, 2011, Tom was asked to apprise readers on the attitude and procedures in China toward protecting innovative technology brought in by foreign companies. He noted the attraction due to the vast opportunity for business growth in China; but at the same time warned that "China’s business culture can be difficult to navigate for Western companies because it doesn’t include the same protections against stealing trade secrets or patent infringement." He described some of the differences between Western-style court actions and China’s "quasi-judicial system of enforcing [IP] rights." His advice to would-be foreign investors is to keep some aspect of their business there secret from the Chinese employees as a practical safeguard against effective copying. 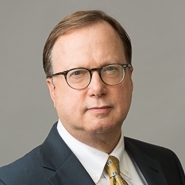 Mr. Ross is a seasoned intellectual property litigator for a wide range of the Firm’s clients, including those in the technology industries such as medical devices, mechanical products and electronics. China is 'worth it,' despite the risks, Crain’s Chicago Business, August 22, 2011.